this week on Amazon: 10.14.17 – she shares, m.d. Something easy that I’m going to try and do weekly (or monthly if I start to drag on recommendations) is share some of my favorite Amazon finds. Amazon Prime is my BFF, and we are constantly discovering new things that I think other people would enjoy too. 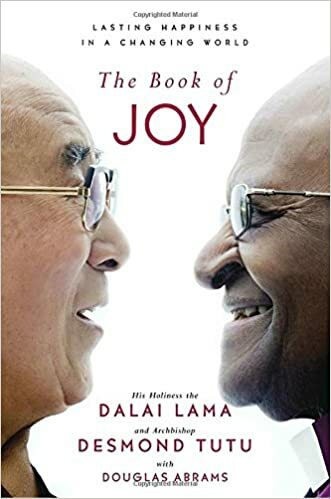 Read: The Book of Joy which is the Dalai Lama and Desmond Tutu’s brilliant views on finding joy in this life and this world, pieced together by author and interviewer Douglas Abrams. So real talk – I haven’t finished reading this. It’s dense with insight, so it’s hard to binge-read. I bought a copy for my sister, and even in my own copy I’ve highlighted “words to live by” that I want to remember. It’s a great way to refocus yourself on the important and joyful things in life in the cloud of negativity that seems to be around lately. Eat: Matcha! This is my favorite matcha. I am not a coffee drinker, but this matcha is just the caffeine boost I need to last all day. The difference between the caffeine in this versus coffee is that it’s a slow steady release in your body, which doesn’t result in you crashing when it wears off. The great thing about matcha is the versatility of it. You can drink it alone, or mix it into smoothies/protein shakes, or my favorite – mixing it into my overnight oats. Subscribe-and-save is the best way to get this ordered -15% if you are subscribed to 5+ items. We have dog food, protein bars, matcha powder, chia seeds, flax seed, and a few other things on subscription from Amazon, so we always hit that extra 15%. Wear: Invisibobble hair ties. There must be other brands of these that are just as good, so get whichever one you want since these are the only ones I have tried. I’m sure they’re sold in a store somewhere too, but secret: I hate shopping. I like shopping from the comfort of my couch, AKA online, but otherwise I only go to a store if I need to. But anyway, these are such a good alternative to any other hair tie I’ve tried. Last weekend I wore one of these in my hair for the entire day, and when I let my hair down, there was no ponytail indentation! It was magical. That’s the big benefit to these hair ties. They come in black, clear, and brown. I have black and clear. Next postBanana Republic: October 2017.